Improving on a beloved and classic design is a tough challenge, but the Saw Back Bowie Knife demonstrates that it can be done, as it adds further utility to the classic bowie knife design with the sleek addition of a saw tooth spine. 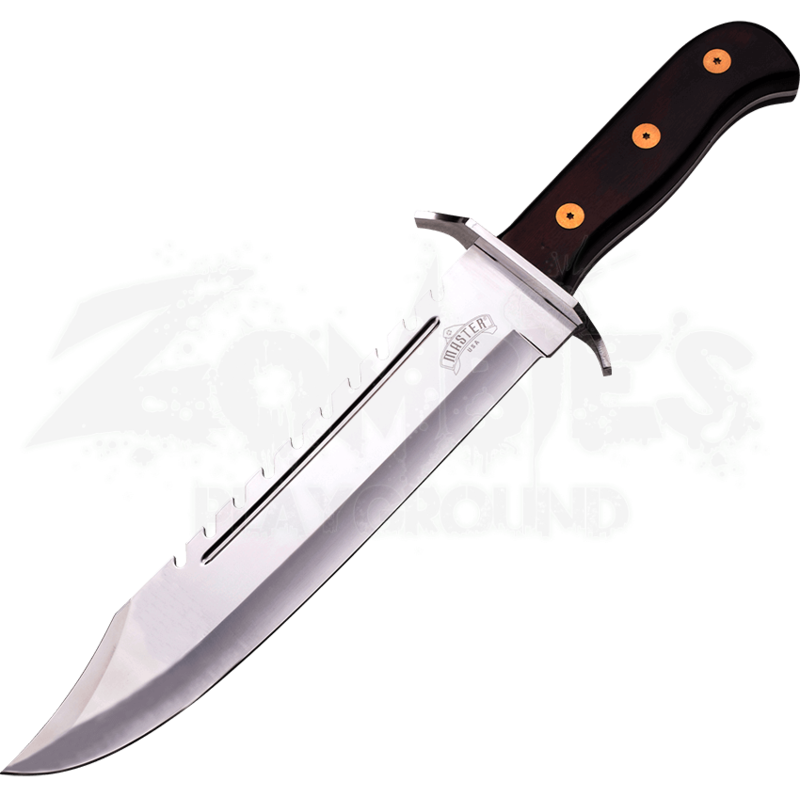 As is traditional for a bowie knife, this weapon features a large, clip point blade and a short guard. This blade style excels in nearly everything, being capable of slicing, cutting, piercing, and even skinning! In addition to these traditional features, the spine of this blade features a saw tooth design which allows for sawing through branches and rope that would otherwise be unconquerable. The handle of this knife is crafted from pakkawood and features slight contouring for a sleek and comfortable grip. To allow for its safe storage and transport a nylon sheath is included with purchase. 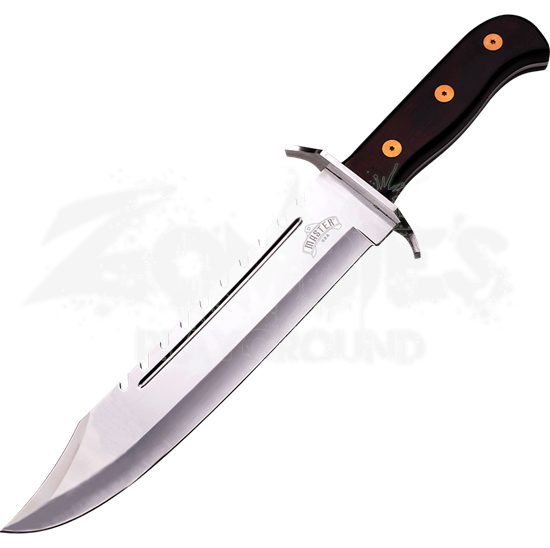 Enhance your knife collection with the incredible versatility of the Saw Back Bowie Knife.